I have been recently selected as one of the judges for The International Society of Professional Wedding Photographers (ISPWP) competition. It was an honor to judge thousands of awesome wedding photos from all over the world. Congratulations to all winners – the judging process is so selective that less than 5% of the images made it to Top 20 gallery. You guys are truly the best. ISPWP photographers – every photographer must have at least done 50 weddings, and also have their work been peer reviewed before they earn their ISPWP membership. 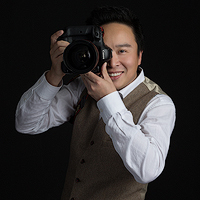 Find photographers – you can easily use the directory to find the photographers in your location or willing to serve your location. The contest winners are highlighted with different titles. Reliability of ISPWP competition – all the images are sent for blind review by four selected judges to insure they receive the fairest mark. Very few of the photos made it to the winners gallery. The ranking is much more reliable than a local newspaper or wedding vendor directory in which whoever pays more advertising fee would receive higher ranking. For Photographers, please be reminded that photography awards are subjective, and so are the opinions below. Exposure – mastering Manual mode to accurately capture the desired lighting atmosphere rather than relying on AV or P – you might be laughing when you read this, but trust me mate, I have seen lots of so called “experienced photographers” using Average AV mode all day along. Using Raw Format – rather than JPEG to obtain maximum (1) luminosity dynamics and (2) white balance flexibility. Originality – In the 2014 summer competition, I saw lots of “back lighting rain” photos, some of them were really good, I am sure they would make the clients really happy. However, few of those images made it to the winner’s gallery. It is because they have almost the same setup (pose, lighting and background) as the 2010 winter winning photo above – copying a previous winner’s photo does not make you win. My advice is to study, abstract and adapt the method, rather than copying the photo scene. If we understand the method as “backlighting makes the liquid stand out from the background,” why don’t we try this method somewhere else? Shown below are two excellent examples using a similar method, first by Emin Kuliyev (Emin Wedding Photography) – utilizing natural light, and second by Erika Mann (Two Mann Studios) – a wonderful backlit image. Posing – “Whether it’s subtle look from the eyes, whether eyes are looking down, the shoulder going back, the subtle things makes a difference between a good photographer and a great photographer” – Jerry Ghionis, Top Ten Wedding Photographers in the World by American Photo Magazine. 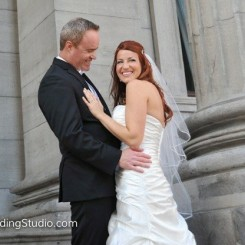 I saw lots of bride and groom portraits within a beautiful venue, but ruined by a dull pose. My advice is to look for or create the moment of love. Sometimes patience is the key to wait for the bride and groom releasing out their natural expressions; sometimes subtle instructions such as eye sights or hand gesture would help bring the photos into next level. Showed above is a great example by Ji Zhang. Develop Your Own Style – Ben Chrisman, World Top 10 wedding photographer by ISPWP, American Photo Magazine, Rangefinder Magazine and a number of other organizations – is well known for his photography style – a unique combination of interesting perspective, silhouette, creative off camera lighting, and emphasis on foreground and reflection. Please note it’s his style that creates the stunning images and makes him succeed in the competitions, not some specific techniques. If you cannot see scenes differently, and use your unique style to capture them, why would couples pay you thousands of dollars for your work? For example, in the contest, I saw lots of silhouette photos which put the people in the corner for no reason, and shooting through any subject in the foreground regardless of the whole composition sense of the image. In the long run, your style will make you stand out from other photographers, and help you become a winner in both competition and business. Don’t Be Afraid of Re-entering a Photo –The painting “Impression, Sunrise” by Claude Monet did not receive a positive review at its first exhibition. So remember, art is always subjective. If you truly believe in your work, you can always re-enter it if it did not make it to the “Top 20 Gallery” in a previous contest. Participation Is More Important Than Winning, Truly – To me, the most exciting thing about being an ISPWP member is education. I got inspired by viewing other photographers’ work, studying their method, and then applying the new ideas to my next wedding. The contest participation helps me to become a better photographer – Is my style enjoyed by the other wedding professional also? Or there are still things to be improved? If the contest makes you a better photographer than you were last month, then you are already a winner in your career. Las fotografías manejan un concepto muy innovador y romántico. Manteniendo una línea clásica y conservando la belleza y resaltando lo intrépido de cada momento. Felicidades, gran trabajo.